Dragon Quest IX was the deal of the century. It had something like seventy hours of single player gameplay, checking off two things that Japanese gamers love: meaty RPGs and playing solo. DQX is a different beast. An official Square Enix FAQ regarding the game noted that while DQX can be played alone, it can only be played offline for the first few hours. After that, it's necessary to play online. The Wii isn't exactly the easiest console to get online. One of the questions in the FAQ is how to get the Wii online. Moreover, Square Enix have cleared up any confusion regarding whether the game will require an extra fee on top of what gamers will pay for the title. Gamers will need to pay to play online. To recap: It's only possible to play DQX for a few hours offline at the game's beginning. Then, players must take the game online. To play online, they are required to pay a fee. Phew, I was worried for a minute, because that sounded really fair. Not. 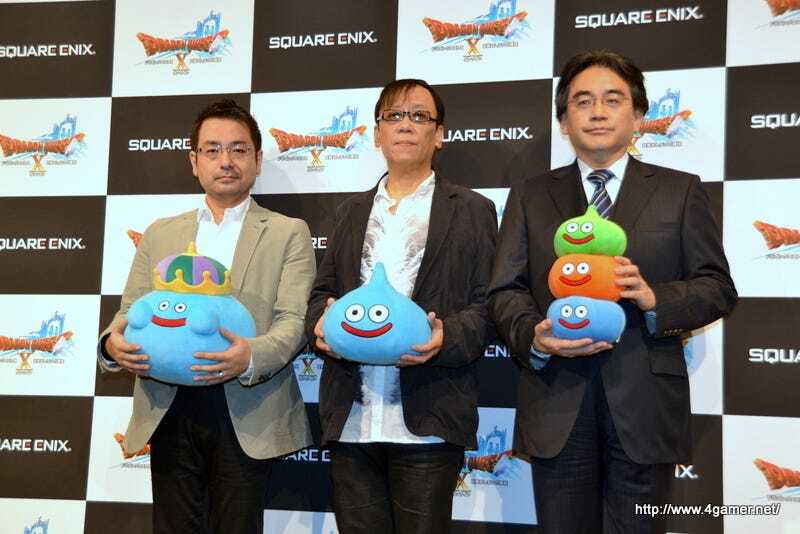 Square Enix currently has no plans to release Dragon Quest X on other platforms. It does have plans to make lots of money with DQX.